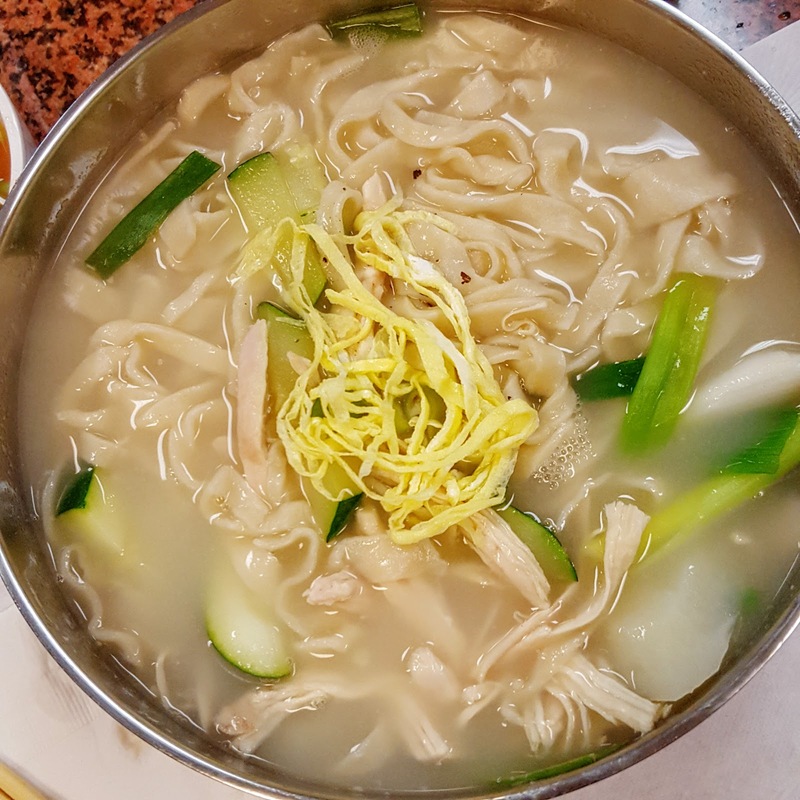 This week's food diary features the best chicken noodle soup in LA and the good and bad of UberEats. 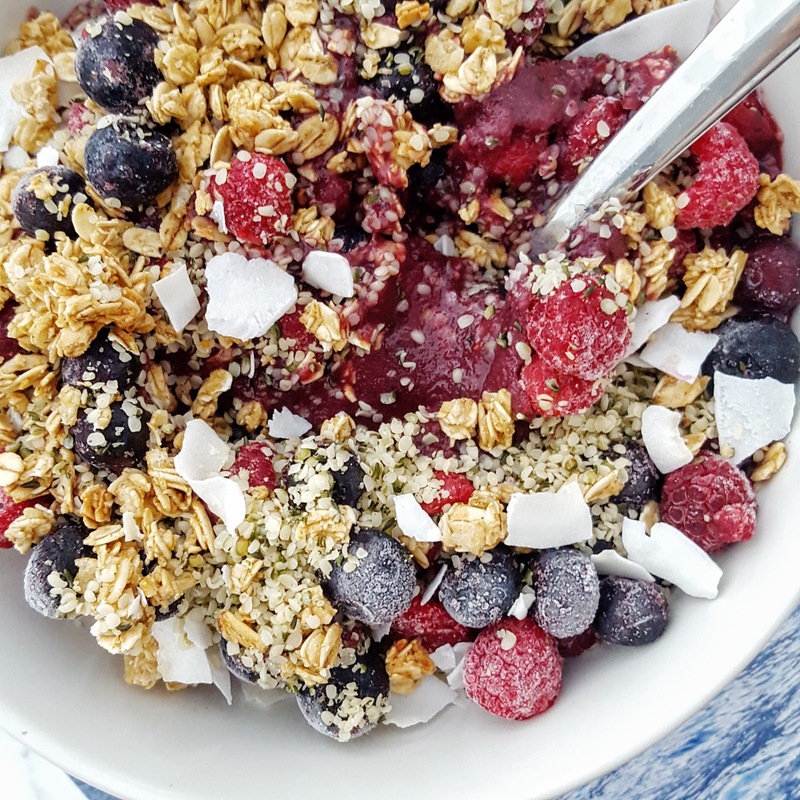 12pm: Greek yogurt with frozen berries, ground flaxseed, and granola. 8:30pm: Dinner at Sushi by H with friends. I get the sweet pumpkin, the fried mushroom, and have a few pieces of salmon sushi, uni, and this really yummy blue crab roll. 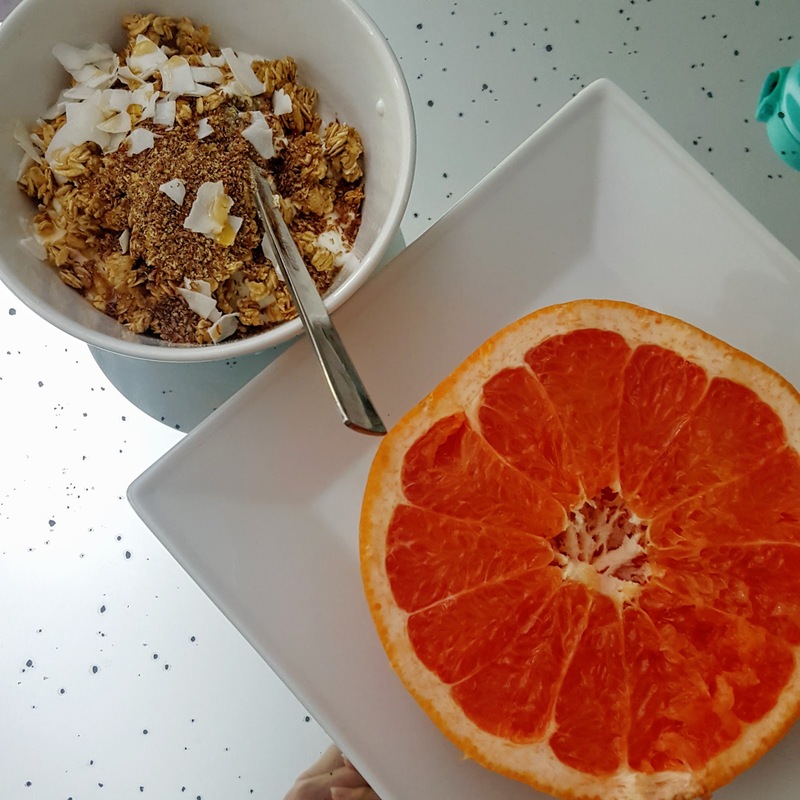 12pm: Half of a grapefruit, greek yogurt with granola and coconut flakes drizzled with honey. 4:30pm: String cheese and a Kashi dark chocolate granola bar. 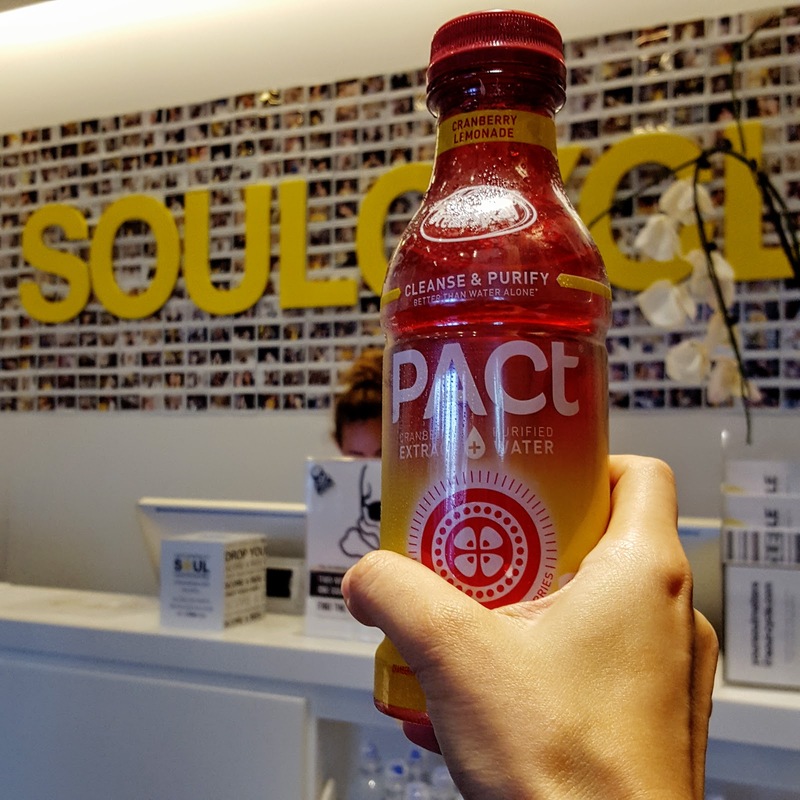 9pm: A late UberEats dinner after my SoulCycle class with Ocean Spray Pact. The uber delivery arrived at my house the same time I did. I have some yakisoba and vegetable tempura. Both are mediocre but I'm too hungry to care. 10pm: Nectarine topped with tanjin. 3pm: Verve West Hollywood iced coffee, one of the strongest in LA! 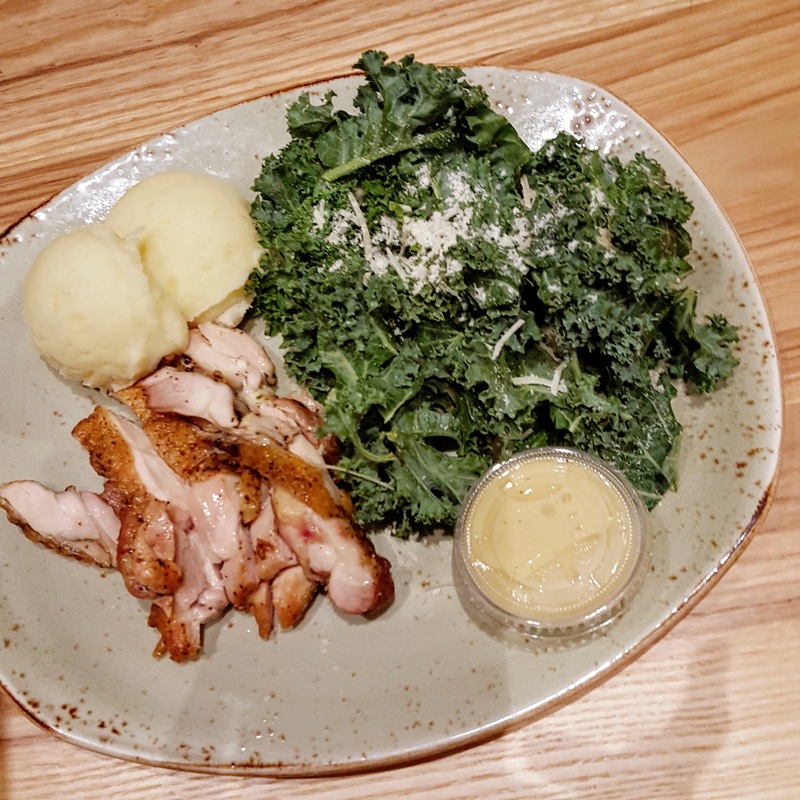 8pm: Dinner at Tender Greens in Westwood, an oldie but always a goodie where I get dark meat salt and pepper chicken, mashed potatoes, and a side kale salad. 10pm: While watching Suicide Squad, I take sips of my white cherry Icee and bites of my buttery Cookie Chips, an indulgent but not too guilty dessert. 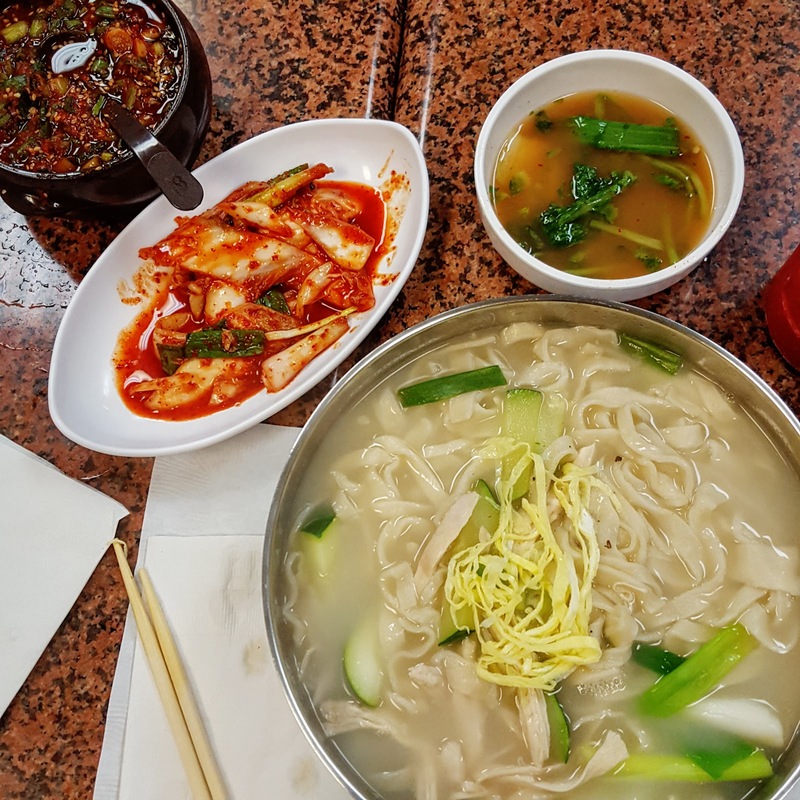 7pm: We're both craving Korean cold noodles so we head to Ma Dong Gook Soo in K-town (approved by my Korean foodie friends). But then we get enticed by their homemade chicken noodle soup and share that and the bimbimbap. So comforting! This would make a great "what to eat when sick" restaurant. Next time, I'll definitely try their cold noodles. 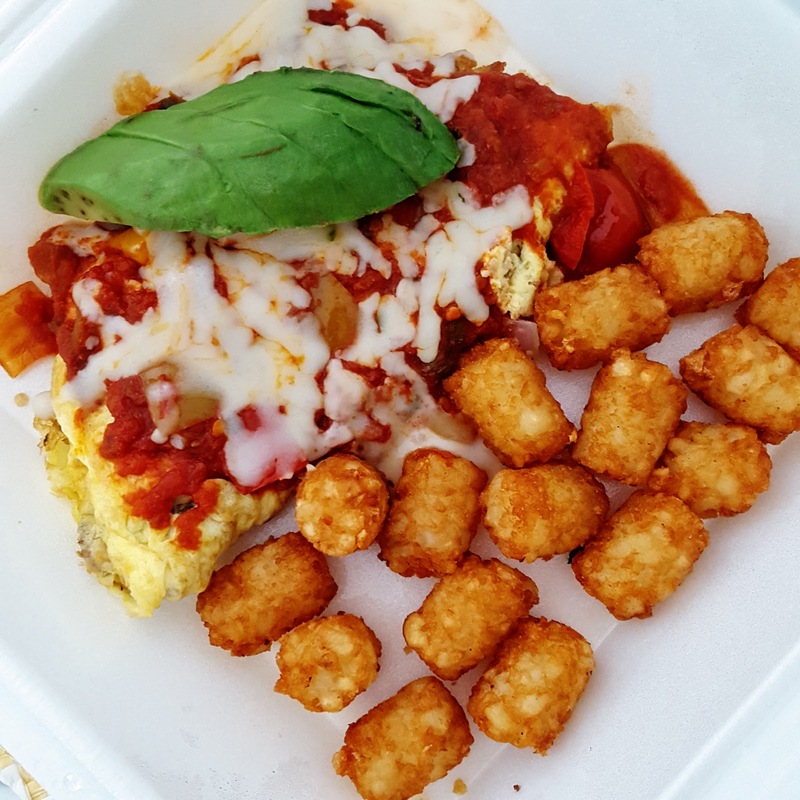 12pm: I get UberEats again but this time my omelette and tater tots from Jinky's Cafe is soggy and rubbery. 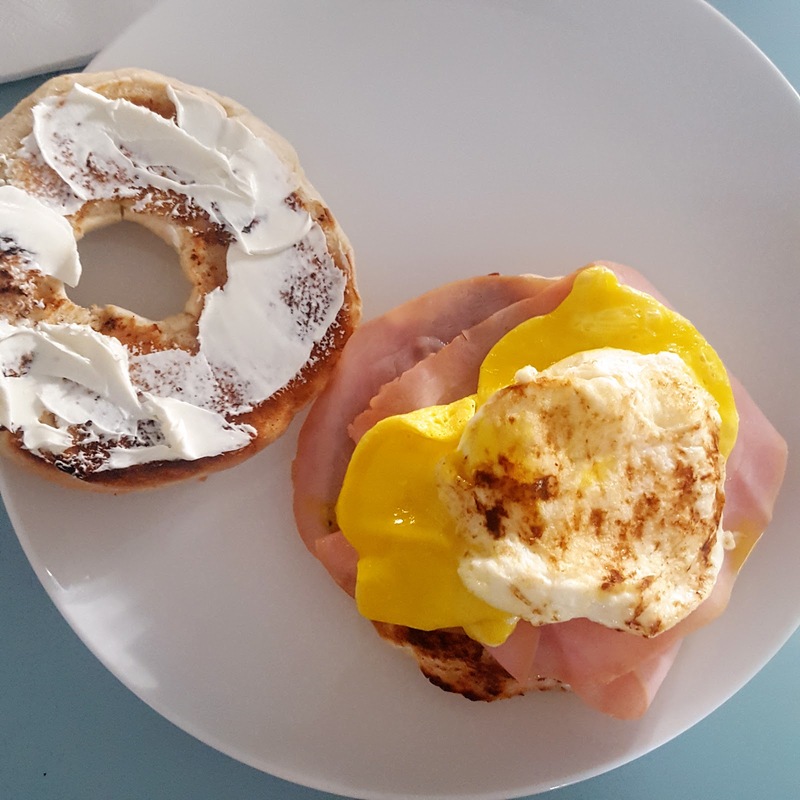 As I'm trying to finish a clearly subpar brunch, I reflect on my week with UberEats. Yes, it's more convenient than delivery as I can order directly from my phone and get live updates on the progress. And I don't have to worry about tipping as it's all taken care of on the app. But you do have to order the right food and not order during peak hours as fried food will arrive cold and soggy. They also deliver from dessert places so I think I'll try that next time. Not that I need another excuse to have more dessert. 7pm: I make fried rice with Chinese sweet sausage, an easy Chinese comfort food dish I learned from watching Mom cook. 9pm: A bowl of watermelon. 12pm: Cereal with sliced banana, frozen berries, and ground flaxseed. 4pm: Half of a banana. 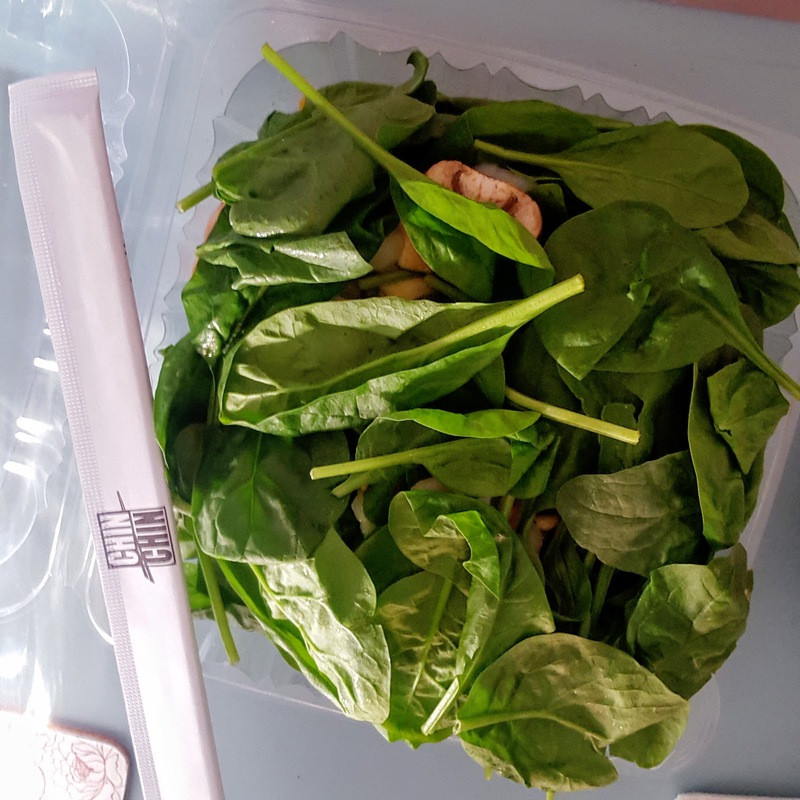 7pm: I make myself a bagel sandwich with grilled ham and a fried egg and have it with Chin Chin's Jade Salad which contains shrimp, pine nuts, spinach, mushrooms, and water chestnut. The spicy and tangy dressy is light and perfect. 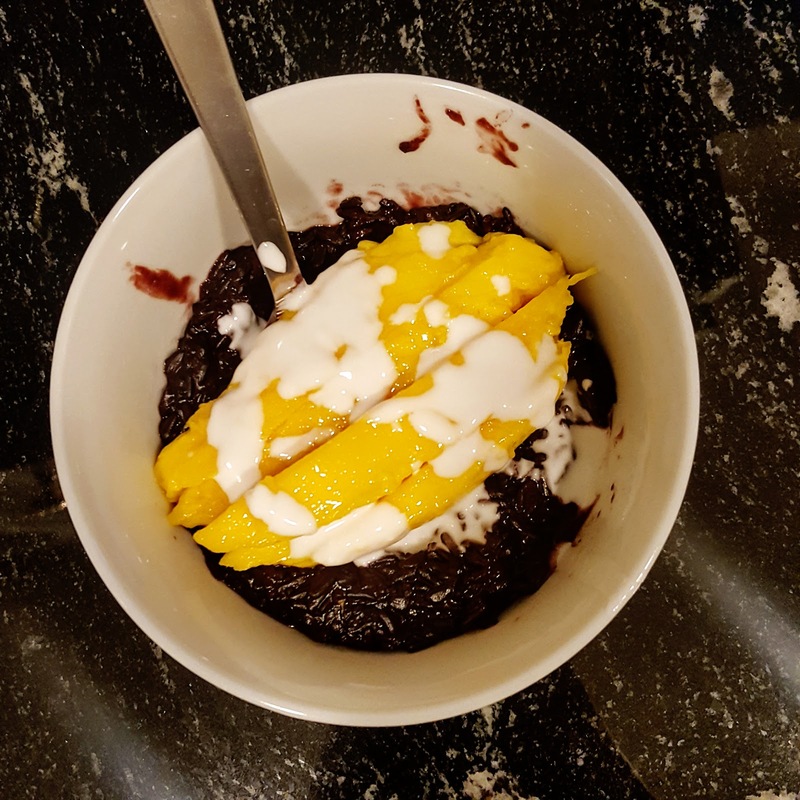 9pm: M's home from work and is craving something sweet so I make black forbidden sticky rice with mango for the first time. He loves it! 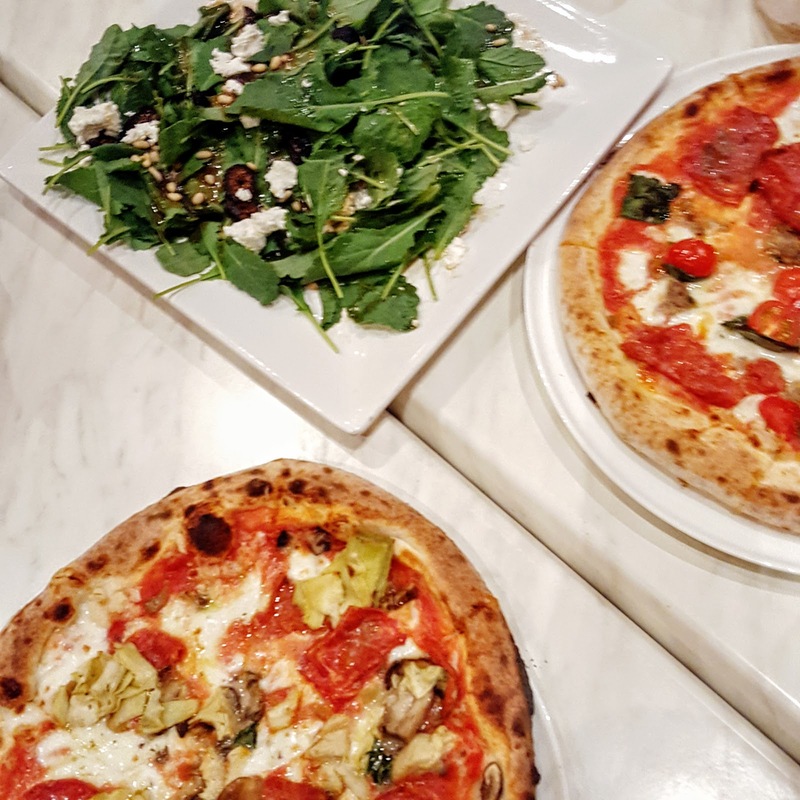 8pm: Dinner at 800 Degrees in Westwood where I almost finish my margherita pizza topped with mushrooms, soppressata, garlic, and artichoke. I also finish half of the kale salad. 10pm: M bought a watermelon for me a few days ago and he hates melons so it's all on me to finish it!